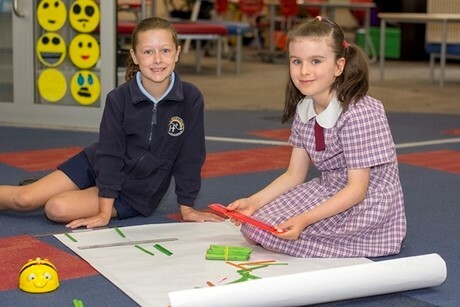 At St Michael's School, Science is seen as an integral part of the modern world. For personal, social, environmental and economic reasons, young people must be well equipped to be active participants in our changing and evolving scientific and technological society. Act for an environmentally sustainable future. The implementation of the Science strand of the Australian Curriculum included the adoption of the Primary Connections units of work as a major resource. These units are integrated with Literacy skills, streamlining the application of the content to the real world. Scientific knowledge is generated by particular methods of inquiry to pose questions, collect evidence, develop and test ideas, and refine or refute them in the light of new evidence. When students have opportunities to generate and explore scientific concepts and theories through a genuine inquiry process, they develop deeper understandings, as well as practical skills in applying that knowledge to new learning situations and problems. Science is therefore an essential and valued area of learning which involves both scientific and technological content and processes. Autumn Fete Leaf and Autumn Ride Wristband Information. These can be purchased directly via the Qkr! app without sending the note back. All orders must be placed by Tuesday. Qkr! will stay open on Tuesday night and close first thing on Wednesday morning. We are calling for Fete Volunteers. Thank you to all those parents and family members who have already booked in a timeslot. Please consider booking in if you haven't already. If you can do two shifts, it would greatly appreciated. Arrival at 7.15am for 8am departure. Parent Helpers Needed for our Fete - Saturday 16 March!